If you are preparing for Java interviews then apart from blogs and articles, you should also take help of books specially written for Java interviews. Though nothing can substitute true job experience the interview is little bit different beast. Even if you have a good experience, if you are not going for exact same profile job then you can expect hell lot of questions from vast topics of Java domain, which you might not have heard before. Java developers usually appear for two kinds of interviews, first for core Java development role where the focus is mostly on core Java concepts like multi-threading, concurrency, design patterns, OOP, error handling, collections, JVM internals, GC and Java performance tuning. Second kind of Java interviews for Java EE or Java web development role where the focus is mostly on Java EE related technologies e.g. Second kind of Java interviews for Java EE or Java web development role where the focus is mostly on Java EE related technologies e.g. JSP, Servlet, EJB, JDBC and frameworks like Spring, Hibernate, Web services like REST And SOAP and messaging technologies like JMS and MQ Servies. In this article, I have covered two types of books, first type are specially written to help with programming interviews, covering a wide range of questions starting from object-oriented design, coding, Java basic concepts, networking, database, SQL, XML and problem-solving skills, and second which are specially written for Java and J2EE interviews. Once you are done with these books, you can take on any Java interview with confidence. 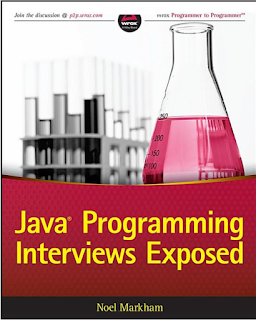 This is clearly the best book on Java interviews. It covers each and every topic you would need to prepare including Java fundamentals, data structure, and algorithm, multi-threading and concurrency, unit testing and JUnit, frameworks like Spring and Hibernate, JVM internals and GC, and even Android, Scala, and other JVM language. This is clearly the right book for Java developer doesn't matter if you are going to core Java, J2EE or Android interview. I cannot recommend this book enough, certainly you need a copy of it in yourself to prepare for both telephonic and face-to-face Java interviews. This is another great book to prepare for programming interviews, including Java. Before they released the Java Programming interview exposed, I used to read this book because it also covers a lot of good topics e.g. data structures like the array, String, binary tree, database and SQL, networking, coding and many others. A good thing about this book is that it also covers non-technical interviews e.g. HR interview and how to negotiate with them. Certainly a great book to prepare for programming job interview, even today I still refer this book to refresh my concepts, particularly on data structure and algorithms. This is the third great book to prepare for Java and Programming job interviews. 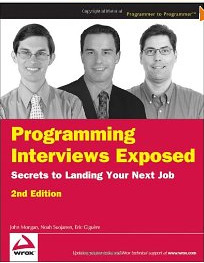 It's very similar to the previous book Programming Interviews Exposed, but it got more questions and also covers more topics. As the title suggests 150 programming questions and solutions, you will find all popular questions there e.g. program to find all pairs from the array whose sum is k or how to reverse String in Java etc. Once you will do the exercise given in this book, you will feel a lot more confident going to Java interview. This is another great book, particularly to prepare for questions from Java programming concepts and API. You will find questions from JSP, Servlet, EJB, design patterns, multi-threading and every other Java-related topics in this book. I have referred this book in past and nowadays I prefer the first book in this more than this one, but it's still a relevant book. If you connect to this book then you will find it enjoying as well. The good thing about this books is that it's full of diagrams which help to understand the concept quicker and better. This is the supplementary of 2nd and 3rd book in this list. 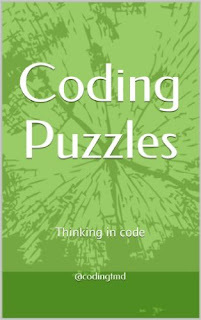 IT's full of programming and coding puzzle which is the main topic of any programming job interview. If you have done programs from 2nd and 3rd book already, you can try this one. It will help your coding skill for interviews. That's all in this list of 5 good books to prepare Java Programming interviews. You can use these books to prepare both core Java and Java EE interviews because a couple of books has questions from Java EE technologies and frameworks as well e.g. Servlet, JSP, EJB, JMS, Spring Framework, Hibernate Framework etc. @punee, those are the three good books. If you have done so than you are ready for Java interviews. 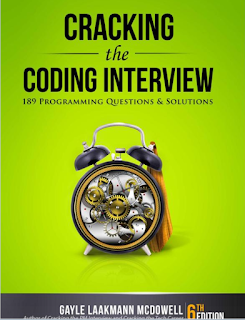 Coding Interview Ninja: 50 coding questions with Java solutions to practice for your coding interview is also a great book to complement your Java preparation with some coding problems. Please provide the link to Jet.com as they are cheaper than amazon. As of today (June 3rd) the top 3 books cost $80 at Amazon and $66 at Jet. If you have AMEX credit card you get $10 credit for purchasing ($50+) at Jet.com. So the total is $56 (Jet has no tax).